Gift giving season is upon us everyone! Have you made your lists? Have you considered giving the gift of timely elegance: a beautiful watch to that special someone? Watches are great gifts that everyone can enjoy. The timelessness of telling time is a useful gift that anyone would love to receive. Check out a great example in the casio g-shock. This is a piece that is both classy and functional. Plus, with advanced solar technology, you can get the most out of your portable device without the waste of batteries. This Casio watch style comes in over a dozen varieties, so it can match the personality of the recipient of the gift, or for yourself. You can find a color and band that fits anyone on your gift list, and they will think of you whenever they stop and check the time, and be grateful for the thoughtfulness of the gift you gave. Plus, Casio carries a name that is recognizable and trustworthy, so you don't have to worry about the quality of your purchase. Check out the site today and pick out the perfect gifts for the special people in your life for this holiday season. Danny Hauger interviews Gerard Anderson about the recent win against UCLA at Pauley Pavillion on AM 830, KLAA in Anaheim, and their upcoming game against New Mexico State at titan Gym. French's Corner talks local and professional sports every Saturday afternoon, tune in on AM 830 and call into the corner (toll free) 877-8-830-830. Aired live at 6:05 on AM 830 KLAA. Voice of the Titans Danny Hauger joins Jeff Biggs on the afternoon drive to talk about the Titans beating the Bruins at Pauley Pavillion on Monday night. Listen to Jeff Biggs on The Drive on AM 830 weekdays from 3 to 7 PM. Great Show today, the brother Aguie call in seperately from Galt and Chico. Musician Clayton Senne calls on the road to Salt Lake City, Utah, talking about his early music career so far. Then Danny and att cover November 17th in Titan Talk history. Monday November 16th, 2009. Live From Pauley Pavillion. Danny Hauger and Alex Jaich were live on the call. What a game, double overtime, and the Titans come out on top, 68-65, for their first win against the Bruins in Cal State Fullerton History. This upset on national television will go down as one of the greatest game in Fullerton basketball history. Click below to enjoy the game in its entirety. Listen to Titans @ Bruins now! If you are a college student like me, cooking can be a real chore. Between the rush of classes, taking tests, and turning in homework, it can be hard to find the time to cook and eat proper meals with sufficient nutrition. I have always been fond of the mixing and blending of foods, and have found this much easier to do with my new Omelet Pans. I can mix in fresh vegetables, meats, and cheeses, and be sure I get enough protein and calcium to start my day out right. It is also a great tool for entertaining guests as well, you can host a holiday buffet bar where friends and family can choose their ingredients. All of the omelet dishes can be made easily with the omelets pans sold at shop.com, check them out today and find your favorite omelets today. Throw in a Waffle Maker and host the best holiday breakfasts of all time. One minute news covering the NASA launch, the economic report, The Washington Redskins win their appeal in the US Supreme Court, and the iphone jailbreaker is under scrutiny. If you're like me, you are fed up with hotels. I recently went on a graduation trip, and the hotel lost my reservation. What a terrible time. There is a better way to go, next time, go with a vacation rental and see why more and more people are hanging up on their hotel reservations. vacation rentals allow you the flexibility to stay in comfort and luxury. You need to relax in this harsh economic situation, and vacation rentals will be your gateway to every type of leisure activity. Maybe you would like to find a great place in Palm Springs like me, Whether its the beach, a prestigious golf course, the lake, or to ski in Colorado, Vacation Rentals will take care of every step to secure you a great place to stay for as long as you would like. These getaway offers are fantastic and the prices are competitive. You can find a rental in every state, no matter where you want to be, Vacation Rentals has you taken care of. Check them out today and start planning a much needed trip for rest and relaxation. With Vacation Rentals, you can rent with confidence and be sure about the quality of your vacation. Listen in! Two great upcoming events. 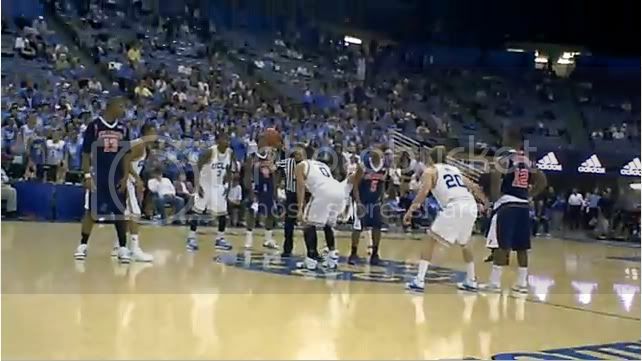 UCLA broadcast vs Cal State Fullerton Basketball live Monday night at 9:00 PM PST on Titan Radio. The holiday season is right around the corner, and many are searching for the perfect gift, with the fear of a possible return in the future for those hard to shop for friends and family. Take the worry out of the shopping experience by getting Gift Cards for those that you care about this year. Shop.com has an excellent selections for gift cards from many different interests. Your friends and family will love their gifts because they were able tp purchase what they want for themselves. Check out the great selections of gift cards that are available today, and be thanked for your thoughtfulness this holiday season. Gift cards from many shops and places can all be found in one place, shop.com , check them out today. Special guest Josie stops in. Vidovich covers his appearance on the Price is Right. November 9th NCAA Basketball highlights, Titans vs Golden Eagles of Cal State Los Angeles. Highlights from Danny Hauger, Alex Jaich, and Steve Ballas. Live from Titan Gym in Fullerton, California. Next broadcast is Saturday vs Hope International University with Steve and Alex on the call. Don't miss Titan Talk, live on Titan Radio at 2:00 PM PST. Give us a call and win tickets to the House of Blues Anaheim. (657) 278-5516. Holsters and shooters needing equipment for practice should check out this site where you can shop for a new holster. Find something stylish that fits your needs, and is comfortable. http://www.shopholsters.com accessories and clothing are also available. Looking for low prices? Prices are excellent, and there is free shipping for orders over one hundred dollars. With the holidays right around the corner, you can find a special gift for the enthusiast in your life. Major brands and new trends are on sale in a format that makes browsing and making your selection easy. So get yourself a new holster today, the easy way. This clip taken live from AM 830, KLAA, to remember the life of Kyle Coumas, a high school classmate from Saint Mary's High School in Stockton. 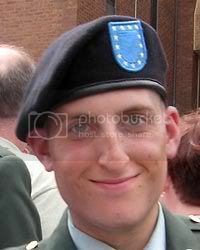 Kyle was killed in Afghanistan during combat. From the LA Times, "Coumas died Oct. 21 in Kandahar province, Afghanistan, of wounds suffered when his vehicle was attacked by a roadside bomb, military officials announced. According the Associated Press, he is the 18th member of the 5th Stryker Brigade to be killed in Afghanistan since July when the brigade deployed." I am sorry you are gone so young, and I hope everyone will remember to value life and living, even if times are rough.